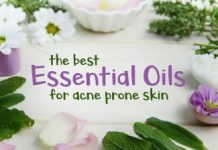 Whether you’ve just encountered the first signs of teenage acne, or are a long suffering adult, dealing with all types of acne is going to be a challenge. When you then add the constant advertising that surrounds you about the latest and greatest products, you quickly become overwhelmed. 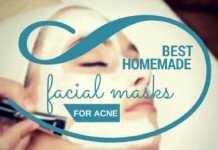 In reality, most people who suffer with acne struggle to deal with the frustration, pain and embarrassment. Making those situations more confusing simply doesn’t help and in many cases leads to some poor decisions being made. 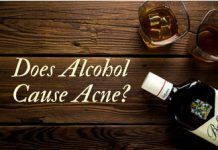 Before you dive into researching treatment options, you should first have a better understanding of what the main causes of acne are. Only when you fully understand what could be causing your outbreaks, will you be able to focus on the right types of products. 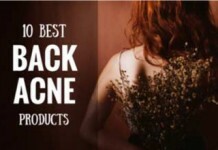 Because there is no one single cause of acne, there also isn’t one single treatment. That’s why we have put together this guide to bring you the most common causes. Once you have identified which one most likely is applicable to your situation, you can then try out highly targeted products. 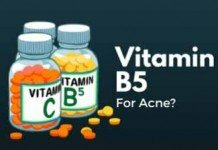 The result will be far more effective prevention and treatment that will boost your chances in the battle against acne. This is the first thing that flashes in everyone’s mind, and rightly so. 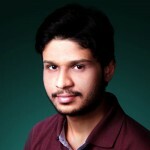 This is indeed the most visible cause that leads towards the development of acne. But why do your pores become clogged? Read on. All these three things are related to each other. 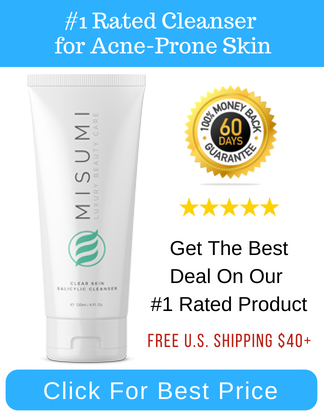 Sebum is the natural oil produced by the skin’s sebaceous glands. A normal quantity of sebum is essential for our skin—it protects the skin from bacterial infection and reduces the natural water loss of body from the skin. But an excess production of sebum is damaging. When that happens, the pores of your skin are clogged with sebum, and once clogged, bacteria and dead cells are trapped in them. 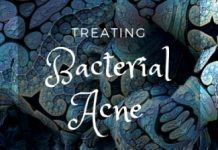 The buildup of this oil beneath the blocked pores provides a perfect environment for the skin bacteria (such as Propionibacterium acnes) to multiply. 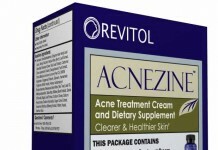 So the skin inflames and produces a visible lesion in the form of acne. 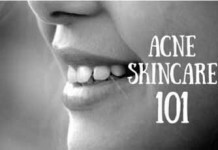 To put it simply, acne can be defined as a condition describing blocked skin pores that result in inflamed or non-inflamed lesions. Now you’ve finally learned what really causes acne, right? Not really. 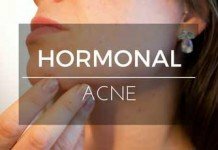 Hormones and acne are correlated. The most prominent factor behind the stimulation of sebaceous glands and sebum production is hormonal imbalance. 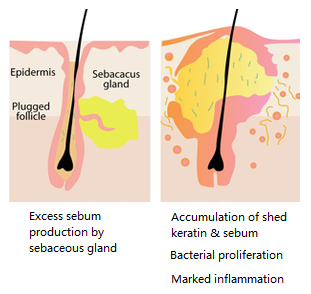 Studies suggest that the sebaceous glands activity is predominantly influenced by hormones like androgens and they stimulate the production of sebum inside them [sources: 1, 2]. Menstrual cycles, pregnancy, and puberty. Fluctuation in the blood sugar levels. And some others (you’ll read below). 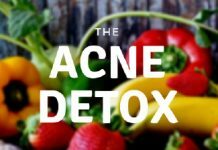 Acne-Diet relation is no longer a myth. 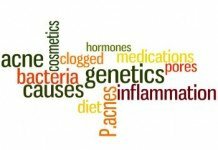 Several studies during the last decade have prompted dermatologists to revisit the potential link between diet and acne. 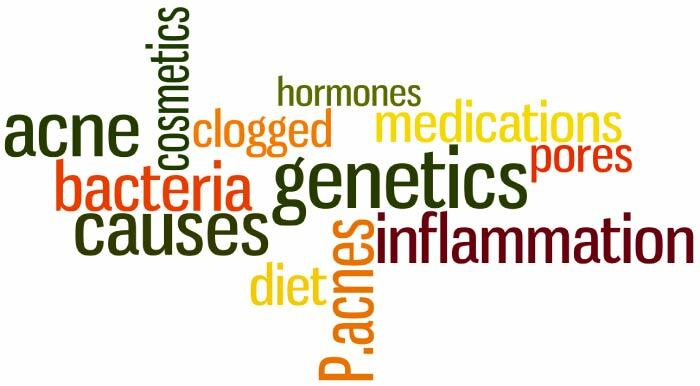 In particular, compelling evidence exists that high glycemic load diets may exacerbate acne. More importantly, when your diet includes the consumption of excess amounts of toxins, the kidney, liver and the bowels are not able to dispose all of these toxins. Because they need to be disposed anyway, the body then releases them either through the lungs or through the skin. And the results are seen in the form of acne. Katherine took the discussion even further by introducing a term called “Acneiform drug eruptions.” These are acne-like lesions that are formed as a direct result of ingesting certain types of drugs. 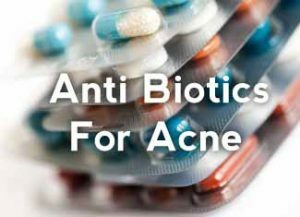 But there are medications that can cause true acne. 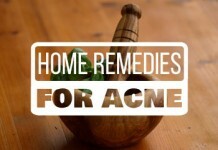 Any medication that can affect your hormones levels can cause acne. 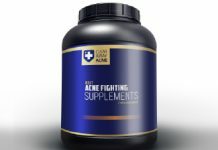 In particular, androgenic steroids that men often take for building up their muscles can lead towards severe cystic acne. But how do you determine whether the lesion is true acne or it’s just like acne? Acneiform drug eruptions tend to be of the same size and type. Either they’ll be all little red bumps, or all medium sized pustules, and so on. 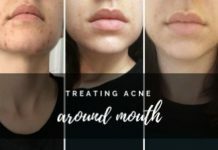 Another evident cause of acne is genetics. It means that if a child’s parent(s) have a history of acne, then he or she is likely to suffer from it too. You certainly can’t do anything with this factor. However, this doesn’t restrict you from focusing on other causes. 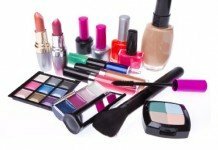 It‘s a fact that most of your makeup that you apply migrates across your skin surface into its pores, and ends up making your pores clogged. 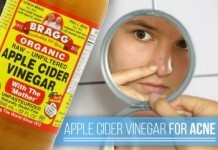 And as you’ve already known, pore clogging appears to be the main cause behind acne. The best approach to avoid this from happening is to stick with non-comedogenic or oil-free products. 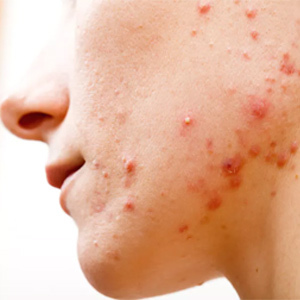 Stress doesn’t cause acne, but researchers suggest that for people who have acne, stress can certainly make it worse. 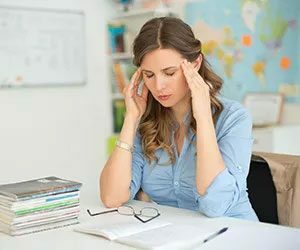 Furthermore, Gupta MA, from the Department of Psychiatry, University of Western Ontario, Canada, has stated in his study that at least 30% of all dermatological disorders are caused by psychiatric or psychological factors [source]. 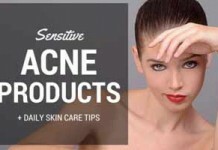 So that ends our offbeat analysis on the causes behind acne. In particular, we looked at how the most visible causes like pore clogging and excess sebum productions come into existence. As you might have understood, it’s hard to point out the exact causes behind acne. There are several factors that incorporate to bring on this situation. And who knows that there won’t be any more discovered in the near future? But one thing’s for sure, if there will be any, it will appear here and you’ll be notified of it. 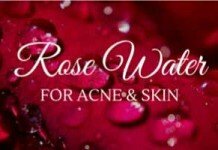 And I suggest you to subscribe to CLEAR AWAY ACNE to stay updated of our regular fresh content – along with other essential benefits, of course.